Today, we'd like to shine the spotlight on some awesome projects that have caught our attention in another edition of You've Been Spotted. If you see your project featured, feel free to post this image on your blog and link to this post to show the world that you were spotted by My Favorite Things! 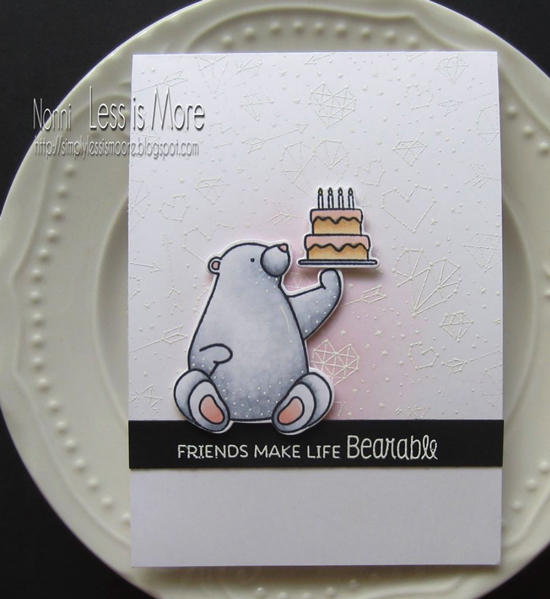 We adore this sweet card design by Raluca featuring the Adorable Elephants stamp set. The beautifully colored butterflies coordinate with the patterned paper background so nicely and the added pop of color on the bright aqua sentiment strip, really makes her greeting stand out on the design. At first glance, the moon on Tina's card almost looks like the real thing! She achieved amazing depth and dimension with her coloring and created a fantastic landscape for her charming little Space Explorer. 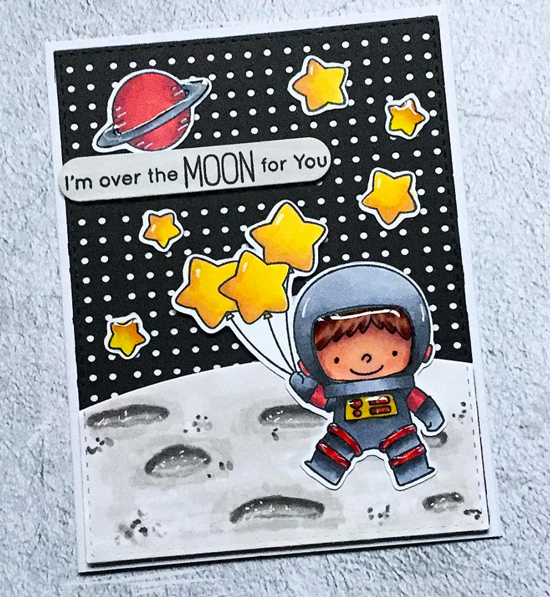 How fantastic is this card design by Stacey? 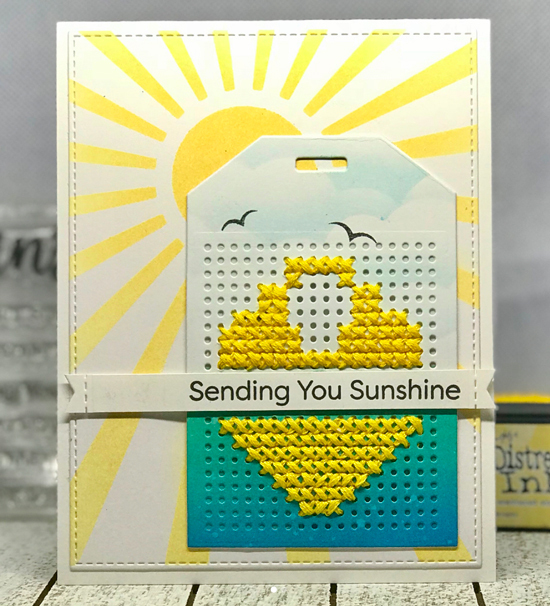 We love how she added color to her Cross-Stitch Tag before stitching on it, to add interest to her scene. The added clouds and stamped birds with the sun rays behind, really bring her design to life. Eva created an adorable, and grin-worthy design by combining stamped elements from a couple of our dog-themed stamp sets. 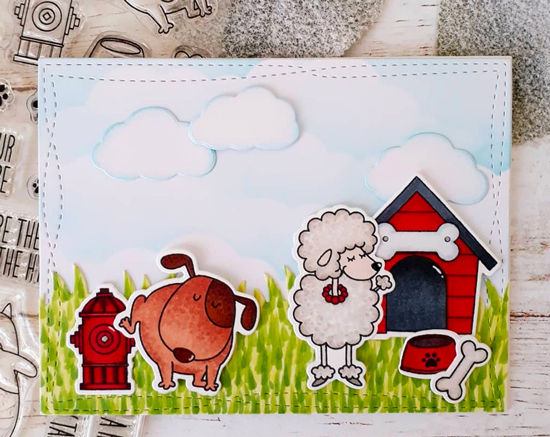 The Stitched Wonky Rectangle die she used on her panel adds a fun and playful look to her card, keeping the focus on her cute pups. Sometimes a soft color palette and a simple design are all you need to convey a sweet message. Nonni created a beautiful design featuring the Birthday Bears stamp set with a heartfelt sentiment that perfectly complements her image. You made me so happy today, thank you so very much for showcasing my card :-) I'm a very big fan of your designs. Thanks for featuring me, this was so exciting, I love this card and I'm glad you did too!